ASHTABULA � Almost four weeks to the hour after two arson fires ripped through several properties on West 37th Street, firefighters found themselves back in the area fighting a blaze at 3720 West Ave. late Saturday evening. Police and fire trucks blocked the intersection at West 38th Street as they had Nov. 15 when two arson fires destroyed several homes. Firefighters were called to the fire at 9:59 p.m. Saturday and arrived four minutes later to find a two-story building with fire engulfing the first floor, according to fire reports. Firefighters made entry to the first floor where they found heavy smoke and fire and quickly extinguished the fire and ventilated the first floor windows, reports show. After checking the basement, second floor and attic firefighters did not find any occupants of the building. Firefighters from Ashtabula Township helped with secondary searches of the property, the report states. 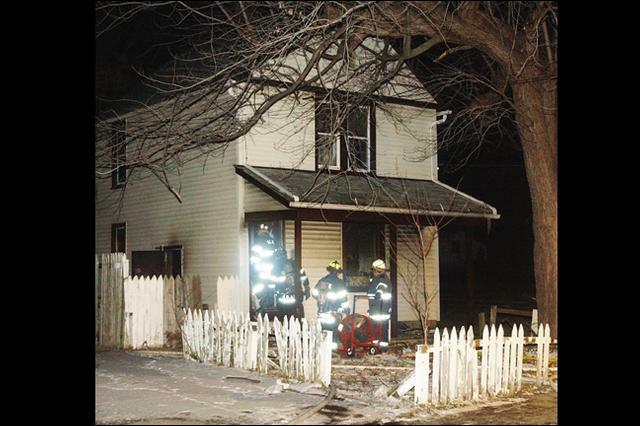 The arson fires of Nov. 15 are still under investigation by the Ashtabula Fire Department.